What is the technical term for two (or more) melodies being played at the same time? What is that called? I’ve heard voicing layers and counterpoint but am not sure if this applies. Another term for two or more simultaneous melodies (generally equally or nearly equally weighted) is polyphony. The basic technique is called counterpoint. Accompanying a melody with another melody rather than homophony which is accompanying it with block chords. Some music is clearly one or the other. 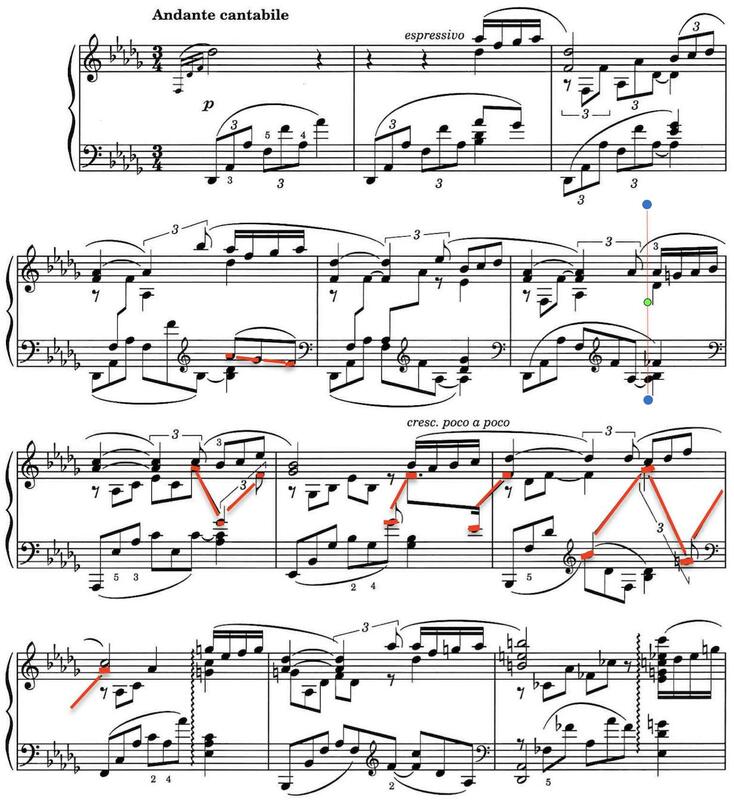 A Bach fugue is predominantly counterpoint, a folk song with strummed guitar chords is homophony (until the guitarist starts introducing little echoes of the melody, as a good guitarist well might). Much (most?) music has elements of both. This piece certainly does. There's a chordal accompaniment and what we might call a 'countermelody'. That isn't a strict term - a fugue is full of 'countermelodies'. But it's maybe more appropriate where there's ONE main melody, ONE countermelody and a chordal accompaniment. 'Accompanied counterpoint'. Not the answer you're looking for? Browse other questions tagged piano terminology or ask your own question. What is the name for this kind of chord chart?